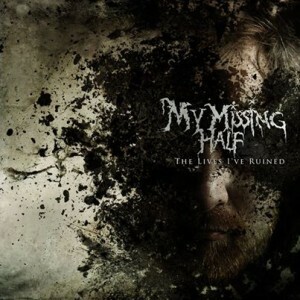 My Missing Half is a melodic death metal band from the Boston area, originally from Lowell. Having grown an impressive fan base in the area for over 3 years, My Missing Half is almost ready to release their debut album, The Lives I’ve Ruined. How long has My Missing Half been a band? My Missing Half has been a band for 3 years. However, we have gone though countless lineup changes. This lineup has only been around for 6 months. What’s the metal scene in Lowell like? Despite not having the biggest metal scene, Lowell has a lot of dedicated musicians and fans. There are some people that we have seen at every show we have played in Lowell. What is your songwriting process like and who are some big influences? Songs usually start with a riff or two. We demo them and try to add other parts until we have what we consider to be a finished idea. We usually try to stick to a verse-chorus structure with a few twists here and there. Where’s your favorite place to play in the area? We always love playing at Gemstones. There’s always at least a decent turnout and it’s where we’ve met some of the best local bands. We also love playing The Palladium. We all grew up going to shows there so it’s an awesome experience to actually be performing there. Thank you! We brainstorm with our buddy Shane Denhardt to try to come up with affordable but memorable music video ideas. The new album is called “The Lives I’ve Ruined.” It’s going to be out on May 3rd. We’re having the CD release at Gemstones with a stacked lineup of local bands. We recorded it with Jay Mass (guitarist for Defeater) and we’re stoked about it. It’s hands down the best music that we’ve ever put out. What’s next for My Missing Half? We’re in the process of booking some tours this summer and we’re beginning to write some new songs.